Every now and again I find an item I like so much I decide to make it myself because either it is not easy to acquire due to distance or it is more costly than it should be. 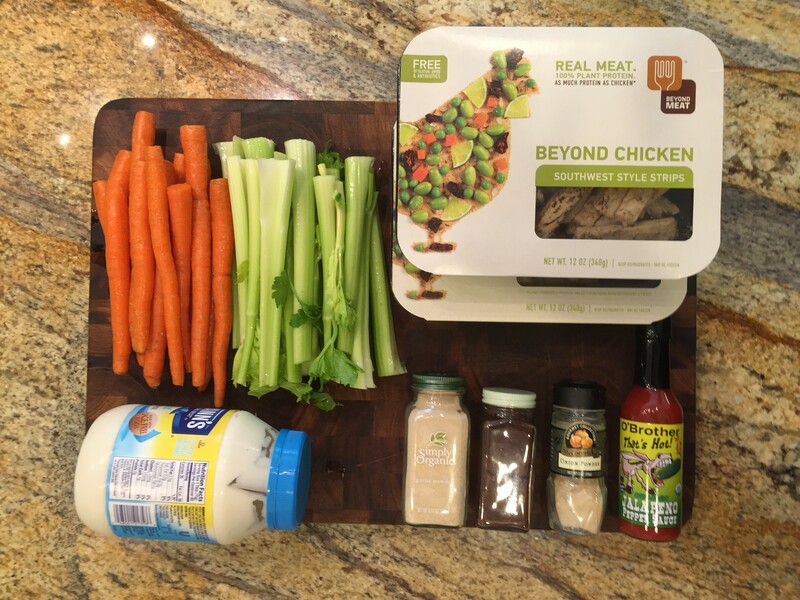 Whole foods mock buffalo chicken salad is one such item, and I would like to show you how you can easily make it at home knowing everything that is in it and spending less money. The base of the salad comes from the folks at Beyond Meat and in this recipe, I use their Southwest strips and though they are a soy product it is non-GMO and also contains pea protein. In addition to the mock chicken, it contains carrots, celery, either vegenaise or mayo, hot sauce, garlic, onion and smoked chipotle powder. 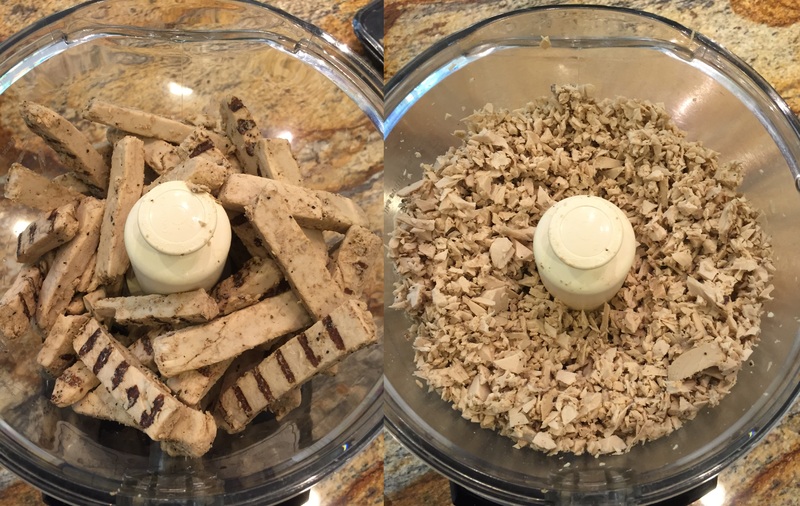 The “chicken” needs to be shredded in a food processor to the size above using the S blade. Once completed empty it and then install the adjustable slicing blade to use on the carrots and the celery. Once complete add it all to the bowl along with the mayo/vegenaise, hot sauce, and seasonings. 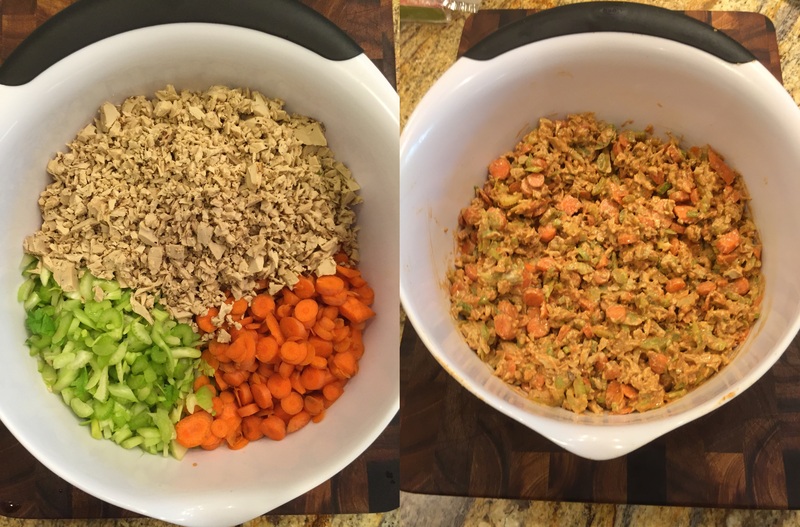 In this recipe, I have not added amounts of anything other than a photo of how much celery and carrots I use with two containers of the southwest style strips. I almost always use the entire bottle of hot sauce and If you need exact measurements try one teaspoon each of the garlic, onion, and smoky chipotle flavors until it suits your taste buds. The bonus of using a mock meat is no worries about food safety like with raw flesh, and nothing had to die for you to eat it. If you don’t have a food processor, and you have the time you could certainly cut everything up into small pieces and have at it. 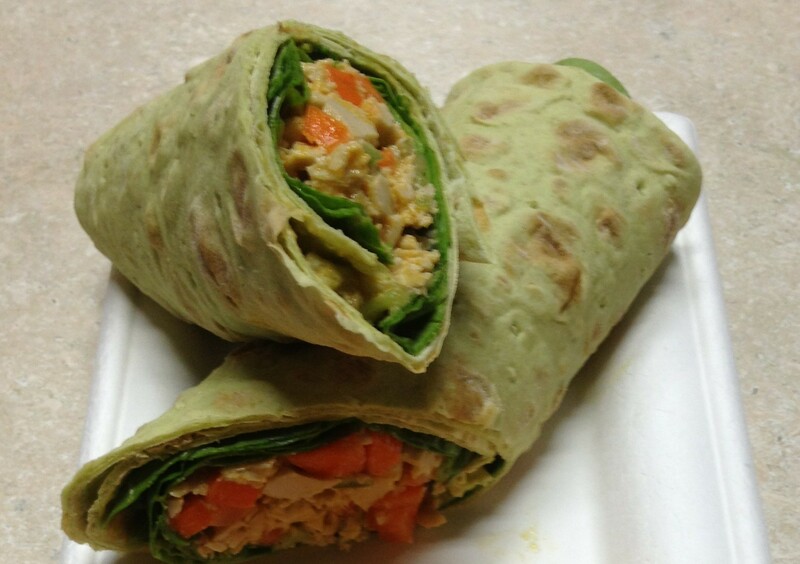 This Buffalo mock chicken salad goes great on lettuces or spinach, with crackers, on bread or in a lavash wrap as pictured above with spinach. I hope you will give this recipe a try and enjoy your weekend! Please share as you like, subscribe and Be Well! Join me on social media.